We have been tagged by the FLU!!! Kaleb woke up with a 104 fever and said he felt like all of his bones were broken! Out of the mouth of babe's! We headed of to the pharmacy to pick up some anti-viral meds that may or may not work. Makenzie's doctor prescribed a dose for her even though she is NOT sick in hopes that if she does come down with the flu it may be less nasty! Other then that we are doing great. 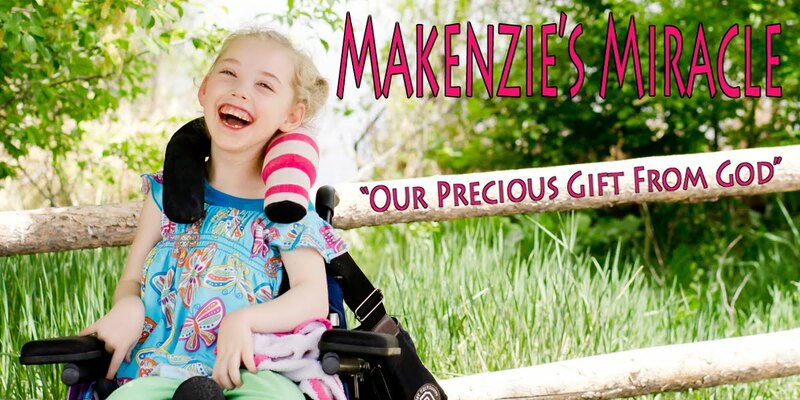 Makenzie is doing well and has be rolling and walking with mommy and in her walker well. She had her Hart Walker ajusted this week and she has grown 2+ inches in the last 6 month!!! WOW! She is happy as always! Not much else to report on that front other then slow and steady progress! I have a few friends that have taken their brain injured kiddos out of the county to have stem cells done and have had HUGE results! I have done a TON of research on this and there are a few side effects by by in large it seems to be very safe. Please pray that God would speak to ours hearts on this as it is one of the last things to try other then what we are doing and will continue to do for Makenzie. It would cost between 15,000 and 20,000 depending on where we choose to go. Please pray!!! I have seen it work!! !